Commenting on blogs is a powerful (and relatively easy) way to cover all 5 bases. If you’ve been even an occasional follower and reader of this blog, you know that recruiters and the hiring decision makers at your target employers are searching online when they source and assess talent. Without a strong online presence, you’re probably invisible to them. It’s also a good way to connect with people who can help you achieve your career goals. If you haven’t been very active with social networking, blog commenting can lead you to a forward-thinking community you may not have known otherwise. For the long term, develop a manageable strategy for routine blog commenting on as many blogs as you can reasonably handle. To leverage this strategy well, find and regularly comment on blogs that have traction on Google and other search engines because they’re content-rich, have been in existence for a long time, and have a strong following, among other things). Google names of industry experts, relevant keyword phrases, names of your target companies, names of key decision makers at your target companies, etc. Look for industry-leading sites and those being written or read by your target audience. Check the websites of your target companies and see if they have blogs. Follow people on LinkedIn who regularly post updates and publish posts on LinkedIn’s Pulse. Commenting on their updates and posts has the same benefits as blog commenting. Subscribe to relevant blogs, so you’ll find out about new articles soon after they’re published. 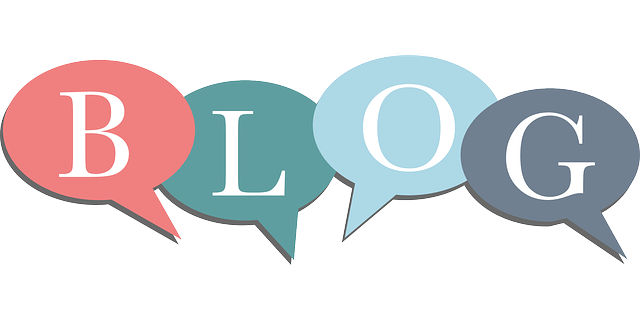 When you find good blogs, look at their blogrolls for others to add to your list. Include a website or web page, along with your name and email address. Don’t leave this blank. The URL you include will be hyperlinked to your name in the comment and lead people to all the brand-reinforcing info you need them to know about you. This is your chance to generate interest in you. If you don’t have a blog or website, include a link to your LinkedIn profile or a social networking site where you’re active. If you have a blog or website, the backlink from a site with good link weight boosts your site’s relevance in Google’s eyes. Write comments with substance – not just “Great blog post!”. Choose a piece of the blog post to address that will allow you to contribute your own take on the blogger’s viewpoint or subject matter. Bring up a point relative to the topic that the blogger didn’t mention. Add to the conversation while positioning yourself as a subject matter expert. Try to be a first-responder. If you’re first, your comment may remain at the top of all comments that follow. More people are likely to read your comment and click on your hyperlinked name to find out more about you. Think twice before you post your comment. There’s a tendency to feel that, when you comment, you’re having a private conversation with the blogger. Keep in mind that whatever you post as a comment will be out there online, possibly forever. Be sure your comments won’t negatively impact your brand and reputation. Think about it. Commenting on the right blogs is almost like being a guest blogger on them. It’s an opportunity to be found on blogs you know your target audience is reading. Everybody wins with good blog commenting. Bloggers love the attention and well-written comments that drive the conversation. You’ll love your ever-expanding search results. You’ll improve your writing skill. You’ll make valuable connections with the blogger, other readers and (hopefully!) hiring decision makers at your target companies. Another bonus – The very fact that you routinely comment on blogs positions you as social media-savvy. Your target audience will notice. Relevance, Quality, Diversity, Volume, Consistency – thank you so much for these guidelines, I’ll always remember these when posting comments on blogs. Also, remember to make your comments extremely relevant and adding value. It only takes one blogger to flag your comment as spam and add you to a disqus blackflag list or similar. While it’s important to make your case, I always try to keep in mind how the author (usually the blog publisher as well) will receive your comment. Commenting is one thing, getting the comment published is another. You make an excellent point, Dan. Blog comments often are NOT automatically published, once you hit the “submit” button. If your intent in blog commenting is to promote yourself or a product, you run the risk of being blackflagged, not published, or if the blogger does publish your comment, you may tarnish your brand and reputation. I know I won’t publish self-promoting or spammy comments. So true, Mitch. If people are kind enough to take the time to comment on your blog post, I think you should feel obligated, and want, to respond. Unfortunately, more often than not, people don’t bother. One of the great benefits of blogging is building community. When you don’t respond to blog comments, you’ve probably lost a potential evangelist. Interesting stuff. I believe that it’s great leaving comments period because blogging overall is a community thing. By leaving comments, you get people to come check you out. At the same time, if one only limits themselves to leaving comments in areas they’re interested in for business purposes, you tend to look one dimensional, someone who might not be able to think outside the box because you only have one thing you can talk about. True, there might be some blogs that you like that you might not want your business account associated with, but it looks much better if you at least show that you’re well rounded in some fashion. Thanks for commenting, Mitch. You make a great point! I agree that it’s important to show yourself as well-rounded, so blog commenting efforts can include non-industry related blogs. But my experience has shown that my client base, c-level and senior executives, are mostly not blogging at all — whether on their own blogs, or commenting or guest blogging on others’ blogs. So, expecting them (or really anyone who is job seeking) to do a lot of blog commenting is probably not realistic. Given their limited amount of time to fit this strategy into their job search efforts, they’re wise to concentrate on blogs where they can demonstrate their subject matter expertise and industry knowledge. If they have time left over, or if they get the blogging bug, by all means I say comment on all kinds of blogs — as long as they won’t tarnish their brand and online reputation. I think they should first assess the site and anticipate whether commenting on it will be a good or risky move.